Gymnasts are revered for their stunts that any ordinary person would have the most difficult time doing without any training. They woo the crowds with their impressive stunts, spins, and jumps – what more a gymnast who finishes as a gold medalist almost every time he competes? That is exactly what Sawao Kato was able to accomplish early on, during the prime years of the Olympics. A golden and prosperous generation of Japanese gymnasts was born a little after the second world war – and one of them, a special athlete of this generation, brought Japan to the top in the 1968 Olympics. His name is Sawao Kato. He represented Japan at the 1968 Olympics in Mexico and won three gold medals and one bronze medal. It was the start of a brilliant career as a gymnast for Kato. Gymnasts require much discipline in developing their muscles, and Sawao Kato had practiced the gymnastic sport to such a refined perfection. Sawao Kato had excellent balance and a unique style in maintaining his coordination and endurance. His flexibility and agility made him win at the 1968 Olympics (Ciudad de Mexico), and eventually in 1972 Olympics (Munich) and 1976 Olympics (Montreal) he won a total of 12 medals overall, 8 of which were gold. He became one of Japan’s most distinguished and recognized Olympians, winning more gold medals than any male gymnast in Olympian history. The female gymnast who beat him in terms of the number of medals won was Larisa Latynina, who won nine golds. Sawao Kato was born on October 11, 1946, in the city of Gosen, located at the Niigata Prefecture, Japan. He was one of 5 children of a railway engineer. He went to school at Tokyo Kyoiku University. His school gym experience opened his interest in gymnastics. 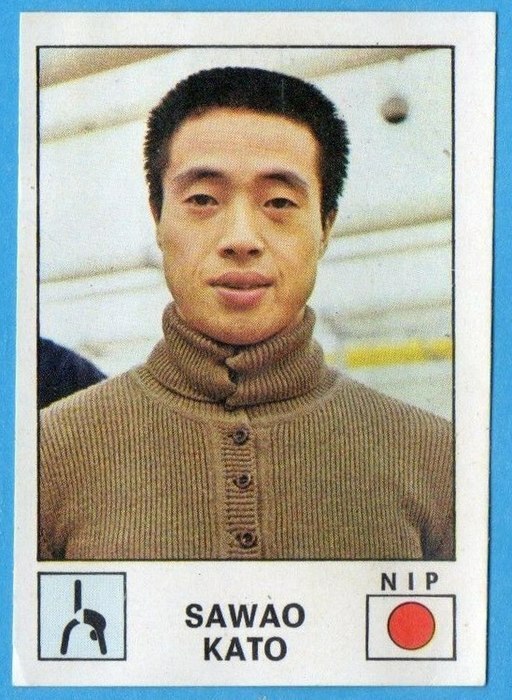 Him, along with his elder brother, Takeshi Kato, both joined the 1968 Olympics, and both won in the team competition. At the time he was competing, Sawao Kato stood at a height of 5 feet 4 inches, or 1.63 meters. He weighed in at 59 kilograms or 130 lb. His discipline was categorized under Men’s artistic gymnastics. He officially retired in 1977. This all was going on at a time when Japan was freshly reintroduced to the Olympics. Japan, Kato’s home country, was first entered into the Olympic Games in 1912. After World War 11 in 1945, Japan was not invited to compete in the 1948 Olympic Games. Japan eventually hosted the 1964 Olympic Games. This privilege was very important for Japan to show the world that it was now a peaceful nation. During the first Olympic games after the war, Sawao Kato then just 18 years old. The Olympics, for him, was just a dream at that time. He regularly participated at the local Niigata Youth championships, and he also regularly won. In 1968, the Olympics were held in Mexico - this is where Sawao Kato began an impressive career, leaving a hard-to-beat legacy behind. Artistic gymnastics requires lots of discipline and control of the body and mind to perform short routines ranging from 30-90 seconds on various apparatuses. Under the men’s gymnastics events you have the floor exercises, the horizontal bar, the individual all-around, the parallel bars, the pommel horse, the rings, the team competition, and the vault. During the 1968 Olympics in Mexico, under the supervision, guidance, and training of Akitomo Kaneko, the Japanese team turned out to be so highly skilled that they led Japan to victory. Mikhail Voronin may have had more experience, but Sawao Kato won three gold medals compared to Voronin’s two. Kato became captain of the Japanese team and was responsible for leading them to a third win in the event. The Japanese gymnasts filled out four out of five top places. It was also documented that Sawao Kato used a trampoline as a creative tool to reach a new dimension to the gymnastic sport. Braving an injury of the Achilles tendon during his performance at the Olympics, Kato showed the world his true dedication and his perseverance. In the Montreal Olympics of 1976, at the gymnastic Individual All-Around event, Kato (whose score was 115.650) lost by one point to Nikolay Andrianov who had a score of 116.650. Though Kato lost to Andrianov, he still retained his title at the Parallel Bars when he won the Gold medal. Kato’s unique style and originality defined men’s gymnastics at the Olympics. His level of refinement of execution and technical perfection was admirable. In Munich, Kato took home the gold medal, while Kenmutso won silver and Nakayama was awarded bronze. At last - Japan finally had reached the Olympic top ranks in men’s all-around competition since 1900. Sawao Kato is still standing as one of all time best gymnasts in the world, with his 12 overall Olympic medals eight of which are gold, having only three rivals who are Nikolai Andrianov with 15 overall medals, seven of which are gold, Boris Shakhlin with thirteen medals overall of which seven are gold and lastly is Tahashi Ono’s 13 overall medals and 5 of which are gold. At the age of 29, Kato said goodbye to 16,500 spectators after receiving the gold medal for the Gymnastic event of Parallel Bars. During the Olympics in Mexico 1968 (Category of Gymnastics for men), Kato won a bronze medal for rings, which his score was 19.225. He proceeded to win 3 more gold medals for Team Competition where their score was 575.90, Floor Exercise set, which his score was 19.475, and Individual All-Around, which his score was 115.90. As for the Olympics in Munich in 1972 (Category of Gymnastics for men), Kato won 2 silver medals and 3 gold medals. One silver medal was for the Horizontal Bar, which his score was 19.525, the other was for the Pommel Horse, which he scored 19.000. His gold medals were, again for Team Competition where their score was 571.25, for Parallel Bars, which he scored 19.475, and for the Individual All-Around, which he scored 114.650. 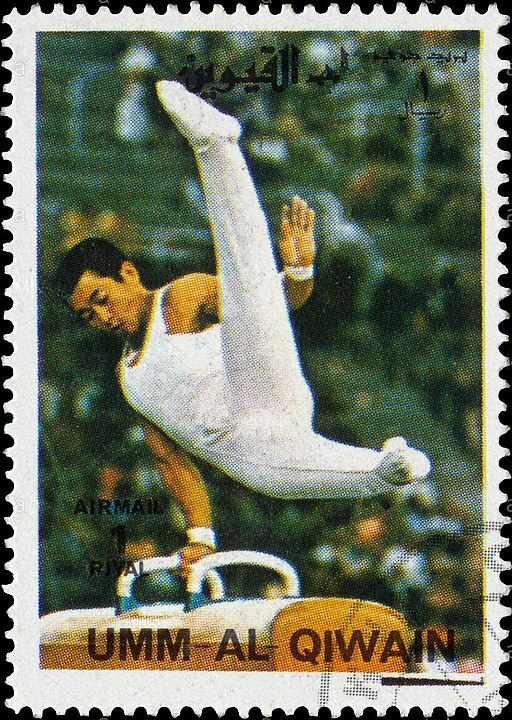 During his final appearance in the Olympics which was held in Montreal in 1976 (Category of Gymnastics for men), Kato won one silver medal for the Individual All-Around, which he scored 115.650. He then seized two gold medals, one for Parallel Bars with a score of 19.675, and Team Competition, with a score of 576.85. Kato also won a gold medal when he competed in the World Championships in Varna, Bulgaria as part of a team. That was in 1974. 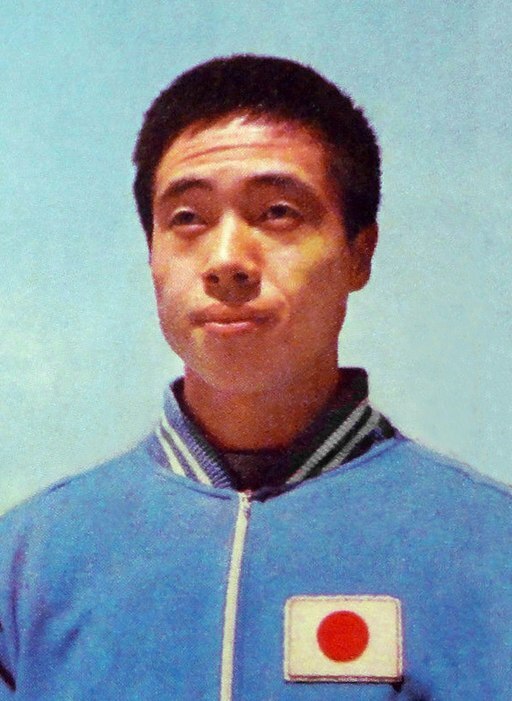 Retired in 1977, Sawao Kato continued to be connected to the sport of gymnastics. He became a member of the International Gymnastics Hall of Fame in 2001, the same league as the famous Romanian gymnast Nadia Comaneci. He graduated with a degree from Sports University in Tokyo and in 2010 he became an Associate Professor at Tsubuka University, which is one of the oldest national universities of Japan. The University of Tsukuba sports science department has become one of the best sports centers of Japan with the leadership of various internationally known staff members, one of them being Sawao Kato. The university has sent 60 athletes to the Olympics since 1973 and these athletes have brought home 21 Olympic medals. In 1992, Kato was also voted as the vice-president of the Men’s Technical Committee of the International Gymnastics Federation, or the Federation Internationale de Gymnastique (FIG) which is a federation that regulates all the features and aspects of International Elite competitions. He also became a well-known judge and coach. One of his students, Tanaka Hikaru, became the Japanese National Champion in 1994. On February 2013, at the age of 63, Sawao Kato retired from his position at the International Gymnastics Federation (FIG) men’s Artistic Technical Committee after a devoted service of 20 years. They have a gymnastics competition yearly, and honored Sawao by calling it the “Sawao Cup”. Sawao Kato co-authored a book with Harumi Minusa (Professor and Head Gymnastics Coach of Komazawa University Tokyo) titled “The Secret of Gymnastic Training in East Germany” which was published in 1991. The purpose of the book was to research, study and record interesting and new techniques involving elements in the artistic gymnastic skills. They wanted to learn how to improve the current and future trends of the men’s artistic gymnastics. They traveled and observed gymnasts from the US, Russia, and China. They also took note of how the competitions were organized and the different ways the apparatuses were manufactured. Minusa also took note on how gymnastic judges must be properly trained and uniformly educated to avoid inadequate judging situations. There were instances where if subjectivity was used in judging, the outcomes could be unfair among competitors. When this happens, the reputation of the sport, as well as the judges and the countries they come from getting damaged. A more objective and rational way must be used to judge gymnastic competitions. At the 2004 Summer Olympics in Athens, Kato became a controversial figure in the men’s team competition. He was judging the performance of three American gymnasts, Brett Mclure, Jason Gatson, and Blaine Wilson. Because he was not impressed with Wilson’s release move, he gave him 0.2 less of a point. This prompted Wilson to try something more complex, which ended up in him injuring himself. Because he had injured himself and did not successfully complete the task, the U.S. lost that run. Kato, a man of integrity on and out of the mat, did his best in the judging, but he still got involved in this difficult controversy. This tenacious, disciplined, persevering, exceptional athlete has lived his life in giving back all his expertise and knowledge back to his countrymen. He made important Olympic history for himself and for Japan and became a role model for generations of Japanese gymnasts. This serves as a handy reference to those who dream of competing in the Olympics the same way that Kato did. Learning the techniques of those who won the game before you can give you a head start in perfecting your performance from the get-go.